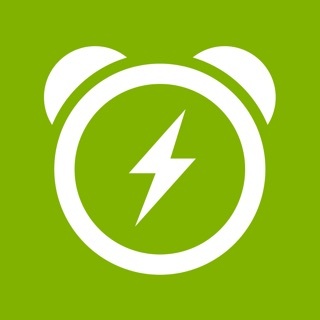 Sleep Cycle is an intelligent alarm clock that tracks your sleep patterns and wakes you up in light sleep - the natural way to wake up, feeling rested and energized. 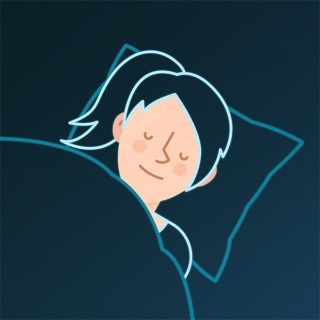 No need to place your device in bed - Sleep Cycles uses sound analysis sleep tracking. • As you sleep, you go through different sleep phases, ranging from light to deep sleep and back again. The sleep phase you are in when your alarm goes off is critical for how rested you will feel when you wake up. • While you sleep, your movements vary depending on what sleep phase you are in. Sleep Cycle’s patented sound technology tracks your sleep patterns using sound or vibration analysis, monitoring your movements in bed throughout the different sleep phases. • Sleep Cycle finds the optimal time when you are in light sleep to wake you up in the morning, during a predefined 30 minute time window that ends at your set alarm time. Waking up in light sleep feels like waking up naturally without an alarm, leaving you feeling rested and energized. • All you need to do is turn Sleep Cycle on before going to bed, and place your device on your nightstand or close by on the floor. Continuously rated as the best smart alarm clock on the market. Featured in: CNN, Wired, The Guardian, The Wall Street Journal, BBC, The New York Times. The optional Premium subscription costs $39.99 per year. Premium price is different in my 2 phones? I was using the app as freemium and now want to upgrade with my other phone. In my previous phone, the premium upgrade is 26.99 tl /year and the new one says 79.99 tl /year. And it is a big difference, why is that? Please Apple Watch support need! We are currently looking into this. Keep an eye out!